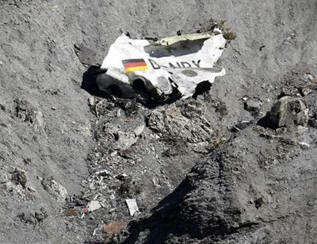 December 30, 2015 - In the wake of Germany's Germanwings Flight 9525 crash that killed all 150 onboard, Germany plans to introduce legislation that would for the first time require its pilots to undergo random drug and alcohol testing. A number of recommendations have been made when authorities learned the copilot, 27-year-old Andreas Lubitz was responsible for the Airbus A320 crashed into the French Alps in March. Authorities learned the copilot had been suffering from depression, was under doctors care and on medication, at 38,000 feet the copilot locked the captain out of the cockpit, then barricaded himself, disengaged the autopilot and deliberately crashed the Airbus A320 into the mountains. Germany's Federal Minister of Transport and Digital Infrastructure, Alexander Dobrindt said on Sunday that pilots should undergo alcohol, drug and medicine consumption random testing and that "the control system in this form is already established in the U.S. and Australia, Europe should follow suit." However, the pilots union, Vereinigung Cockpit (VC) reported publicly that they are against this measure and believes the focus should be on prevention. In May, Air India for the first time instituted psychological test on applicant pilots. In addition, aviation authorities in Australia, Canada, Germany, New Zealand, Norway, and the United Kingdom have implemented new regulations that require the presence of two authorized personnel in the cockpit at all times. Flight 9525 departed from Runway 7R at Barcelona–El Prat Airport on March 24, at about 10 AM for Düsseldorf Airport, the Airbus A320 was to land at 11:39 AM. At 10:30 AM, the pilots received and confirmed their heading and altitude with French air traffic control (ATC) and began crossing the French coast near Toulon. Within minutes of speaking with ATC, the aircraft began a rapid descent from its assigned altitude of 38,000 feet. ATC made several attempts to speak with the pilots. The aircraft's Black Box recordings indicated the captain could be heard banging on the cockpit door and trying to break in. Do I Need A Company To Assist With "Drone Registration"? Learjet 75 Aircraft Sets World Speed Record Across The U.S.